Mars enters Libra (October 22 – December 9) focusing more heat on the necessity for harmony in relationships. Heated energy will be directed to law related matters – particularly domestic disputes. Beware Libra people; with Mars in your sign, you may be susceptible to fevers, accidents or temper tantrums. Remember Mars represents activity; don’t waste this energy with indecision. Now is the time to work towards making peace. When discord seems evident among loved ones, it is best to try to defuse and creatively redirect anger before irrational actions become a source of regret. Mercury in Scorpio trine Neptune in Pisces (October 24 – October 31) brings gifts of encouraging news from Spirit. Those who are open to communication and prayer will have a spiritual channel now open to their hearts and minds, to find peace where it is desired. Communicate abut spiritual needs with helpful counsel and make breakthroughs; receive gifts of renewed faith in your own beliefs. First Quarter Moon in Capricorn on October 27 brings a strong emphasis on the need for concentration and effort. Some staunch determination is required. There is a mounting concern to complete projects. Capricorn Moon reminds us to be diligent with our efforts and to work towards gaining a sense of accomplishment. People are greatly moved by the acknowledgement of merit. Venus in Libra is square Pluto in Capricorn (October 27 – November 4). The diplomatic, peaceable, cooperative and naturally harmonious side of our affections (Venus in Libra) is likely to take a pretty good beating while a seemingly major transformation is occurring on a physical level (Pluto in Capricorn). Venus square Pluto usually involves such difficulties as loss or death of a loved one, the obstacles of rejection and general oppression for those aspects of life to which we are undeniably attached and which we hold dear. If something of this nature is occurring for you, it is best to recognize that love will triumph in every dimension, despite the pain of separation or the disease and strife of the beloved. Be both strong and gentle in matters of love. Let the obstacles of love’s pain become the building blocks of a better outlook, and a stronger love will supersede these current trials of the heart. Mercury in Scorpio sextile Pluto in Capricorn (October 28 – November 1) facilitates communications and discussions with an opportunity to get your message across in negotiations with those in positions of power. This is a good time to reach out to those of another generation and make an attempt to communicate something essential. Aries: It is normal to resist change. Many of us are creatures of habit, but the problem with that is we stop growing, and the soul is only interested in growth. With a cluster of planets in your transformation zone, don’t be surprised if life takes a different turn, which brings change – sweeping or small – into your world. Whether the change is to your liking or not, it will be for your long term benefit because Jupiter never leaves his guests empty handed. The more you can go with the changes, the more quickly you will adapt and begin to see the gifts in the situation. Taurus: Your cheerful temperament is about to go off the scale as Jupiter, the Sun and Mercury gather in your relationship zone, bringing not just the likelihood of becoming more of a people magnet, but also bringing the very real chance to find happiness in love. Relationships over time have a habit of becoming stale with partners taking each other for granted, and all it takes to reverse this situation is to treat people as though they are honored guests. It looks as though that is what is going to be happening with you. You might not be able to put your finger on it, but there is likely to be a shift in the way you interact with people, which in turn will lead to much greater happiness in all your relationships. Gemini: “Put your heart, mind, intellect and soul even into your smallest acts. This is the secret of success.” Swami Sivananda provides the key to gaining the most of Jupiter’s arrival in your zone of daily life and service. It might be that you’re going to be called on to play a bigger role in some way, most notably in your working life or in the service you give to others. While Jupiter may bring positive developments to your work and could provide a welcome boost to your health (so long as you refrain from overindulging), it’s lesser known side effects are enjoyment of the simple things. We often make life more complicated than it needs to be, or we go in search of bigger and better things, but actually the greatest pleasures are often found in the smallest or simplest things. Cancer: As Jupiter joins forces with the Sun and Mercury in your zone of fun and creativity, you have a rare opportunity to make a conscious decision to live more creatively or to invite more fun into your life. You might also benefit from a more romantic flavor, considering that romance can be a state of mind as much as hearts and flowers arriving at your door. Of course, it won’t do any harm to treat yourself to hearts and flowers! Sometimes we need to love ourselves before we can expect such from others, so determine what your heart longs for, and get that for yourself. It won’t be long before the outside world begins to sit up and take notice. Leo: As the Sun joins Jupiter and Mercury in your domestic zone, the scene is set for a happy home life. This is a point in your life in which you can find solace within your family and your home. Therefore, it’s a wonderful time to buy property, move house, renovate, decorate or simply enjoy more time at home. The Danish word hygge roughly translates as coziness, and this is something you might be drawn to as the planets hunker down at the base of your chart. Curling up in front of a real fire with homemade cakes, flickering candlelight, and laughter with people you love are all ways in which can create hygge in your home, and the feeling of warmth and security it brings is priceless. Virgo: “Your attitude, not aptitude, will determine your altitude.” If this quote is accurate, then you can prepare yourself for dizzying heights of success, because with the Sun, Jupiter and Mercury all in your zone of attitude, it would take a lot to deflate your optimism. In fact, although Virgo is normally known for its humility and down to earth way of thinking, you’re on course for feeling that anything is possible which in turn is likely to ensure that it is. If you want to help life, be open to opportunities that come your way and say yes to as much as you can. Libra: With a cluster of planets in your money zone, the focus is on your material life, and the keyword is “abundance.” If you’re not feeling abundant, then this is your opportunity to capitalize on the benevolent and auspicious planetary energies to attune your consciousness to a frequency of plenty. The purpose of Jupiter in your zone of resources is to enable you to expand your material life and to realize you don’t get what you deserve; you get what you negotiate. It might also help to get clear on your values. What is most important to you? For some people it is freedom. For others, it’s family. Many Libras hold love, because and harmony high on their list of values. Consider what you really need and make that your priority. When your life is rich with your values, you don’t actually need that much. Scorpio: The Sun joins Jupiter and Mercury in your sign, creating an optimistic, confident, feel good factor, which will enable you to either make big progress in something of importance to you or to simply enjoy where you are right now. It certainly looks as though the world is your oyster so whether you’re throwing a party, celebrating your birthday or making things happen, this is a week to enjoy yourself. The deeper purpose of the Sun and Jupiter in your sign is to create a life of meaning. It might be useful to identify what a meaningful life looks like to you and then set about bringing it into being. Sagittarius: As the Sun joins Jupiter and Mercury in your zone of quiet reflection, it’s as if a veil is being drawn between the everyday world and the unseen world. This could manifest in a variety of ways, and the most obvious is that you feel the need for solitude, rest or quiet time. Your body might give you signals that it needs to slow down a little, so don’t ignore any warning signs. Another way this planetary combination could manifest in your world is through a growing interest in the mysteries of life, be it a desire to meditate, practice yoga or tai chi, go on a retreat, study dreams or develop your psychic ability. Think of where you are now as a winter phase during which certain things will fall away and for a while seems as though not much is happening, but you are in fact preparing for a new phase to come. Capricorn: There’s a very auspicious feel to your future at present, so don’t doubt any feelings of hope and optimism, especially if (as a typical Capricorn) you lean toward a more cynical view of life. Every so often, the wheel turns in your favor, and this is going to be one of those times so make the most of it by embracing opportunities and following your dreams. This might sound a bit like a cliché, but this is what the conjunction of the Sun and Jupiter in your future zone is all about: the manifestation of a hope or a dream. No one’s expecting you to change the world in one week, but you can start to make a commitment to it, even if it’s as simple as being the change that you wish to see. Aquarius: The Sun, Jupiter and Mercury are at the top of your chart. This isn’t so much about getting ahead and being a great success in the world, especially if you have to compromise yourself in the process. It’s more about really enjoying yourself and letting the world see that. 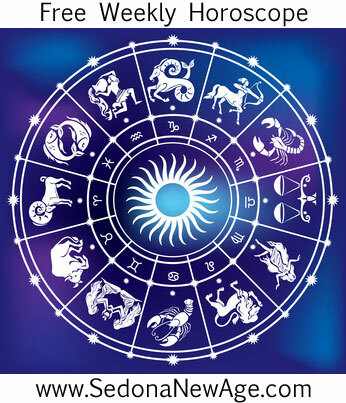 If your work or professional role gives you a sense of meaning and fulfillment, then this auspicious combination of planets is likely to see things getting even better. Watch for opportunities for advancement, growth, and good fortune in this area. If there’s room for improvement or if you feel as if you’re not freely blooming, then this is the point at which things will begin to change for the better. It will help to meet the planets halfway by being clear about what changes would be necessary for you to bloom in terms of your direction. Once you know, you can start the ball rolling, and you will find that the universe does the rest. Moon 29° Scorpio 11' 49"
Venus 01° Aries 07' 47"